Nostra at My Filmviews has organized an intriguing blogathon designed to push writers out of their comfort zones. It presents five obstructions (one per month) that force you to avoid the typical approach to reviews. The first assignment is taking a contrary stance on either a film you love or hate. I’ve chosen to take down a personal favorite by identifying the issues that could draw a negative response. My pick is John Sayles’ 1999 feature Limbo, which is my favorite film from his extensive career. The trick with this task is to develop intelligent arguments that are legitimate despite my personal opinions against them. I’ve accepted this challenge and taken my best shot at developing an alternate reaction to a treasured movie. John Sayles has a strong reputation as a talented independent filmmaker who finds ways to deliver great films outside the studio system. Even so, he isn’t the type of household name that draws young movie lovers to seek out his films. They might check out Lone Star or Eight Men Out and enjoy it, but there are plenty who’ve never seen his work. 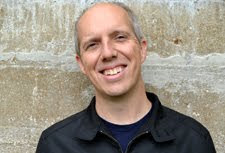 He excels at presenting the intricate workings of the communities that we rarely observe on screen. Limbo depicts the fictional town of Port Henry, Alaska as it struggles to maintain a once-thriving economy. Tourism is overtaking the state and leaving the locals out in the cold. The early scenes present the interesting characters that populate this town, particularly at the bar where the grizzled residents mingle. There’s an interesting story about this group, but Sayles pulls the rug out from under us and delivers a quite-different movie. The result is a risky and unfortunate venture that creates more questions than it answers. David Strathairn stars as Joe Gastineux, a former high school basketball star who quit his life as a fisherman after a tragic accident. 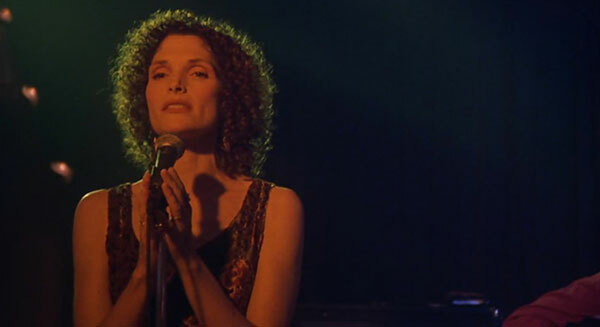 He begins a romance with Donna De Angelo (Mary Elizabeth Mastrantonio), a lounge singer who’s struggling to connect with her teenage daughter Noelle (Vanessa Martinez). There’s promise in this relationship despite the baggage that each brings to the mix. When Joe’s half-brother Bobby (Case Siemaszko) asks him to take him on a sailing trip as a favor, he invites Donna and Noelle. This is a mistake given the nefarious folks who Bobby is meeting and changes the tone of the movie. Instead of being an engaging look at an Alaska town, we’ve shifted to a story of pure survival. This could be exciting given the solid acting from Strathairn and Mastrantonio, but they’re given little to do but wait for a resolution. They spend the days just sitting on the island and hoping for an escape. This kills the story’s momentum and loses the audience during the third act. The first act includes several engaging performances from Donna, particularly a strong rendition of Tom Waits' "(Lookin' For) The Heart of Saturday Night" at the bar. They stand alone as impressive moments, yet they seem out of place within the ongoing story. This uneven tone permeates the entire film and shows how Sayles is reaching for something. It's an ambitious structure, and it's hard to give him too much trouble about trying something different. The trick is finding a way to keep the audience engaged when he shifts gears. We're interested in the trio's survival, but that doesn't mean it's an exciting ride. The pace creeps along and doesn't offer enough beyond a few highlights that stand out from the mix. The challenge for Sayles is keeping us engaged in a story that focuses on such a small group of characters. They’re stuck in “limbo”, but the audience is right there with them. An interesting side player is “Smilin Jack” Johannson, played with his typical charm by Kris Kristofferson. He clearly has a beef with Joe, but that conflict is hardly developed. When he returns and plays a key role in their fate, there’s a cool mystery of whether the past will come back to haunt Joe. The problem is that Sayles uses their issues solely as a device to deliver an ambiguous ending. There’s no clear resolution, which is frustrating since we’ve gotten to know the main characters. They’ve built a family that could have a positive future, but Sayles refuses to give them a fair conclusion. Instead, he tries to shock us by leaving the threads open to interpretation. Does it matter if we learn their ultimate fate? Regardless of the outcome, having more clarity would have strengthened the movie. We’re left wondering about the point of it all and feel hollow about the entire experience. It’s an original experiment yet falls short of its ambitions by reaching for a theme that isn’t there. Excellent review (even if it is fake) for you really find solid reasoning and keep it sounding professional. I went a more sarcastic route with my review. I personally can't wait until next month! Thanks! I thought about going that route, but I decided to take a shot at making it believable with concerns that I've heard from people who saw it. I'm excited about next month, though I expect it's going to get more complicated as we go. Should be fun! I just checked it out and left a comment. Nice work! It looks like you had a lot of fun with it. I'll check out the award shortly. Thanks! Good Stuff Dan and what a great idea for Blogathon. Thanks! I'm thinking Limbo is one of those movies that could draw either reaction. I love it and am willing to go anywhere with the characters, but it's a tricky one. If you check it out, let me know what you think! Nice review Dan, never seen the movie but your review sounds convincing! You've passed the first obstruction! Thanks Nostra! Looking forward to the next obstruction. Good review. I love Strathairn and I will be definitely checking this one out soon. Thanks! If you're a Strathairn fan, I'd definitely recommend this film. It's one of his best roles.